Take Exit 34 (New Hyde Park Road) off the Long Island Expressway. Take New Hyde Park Road south to Hempstead Turnpike. Turn left onto Hempstead Turnpike. The A&S Bagels, Inc. store will be on your right side. Take the Southern State Parkway Westbound to Exit 16 North (Franklin Avenue). Continue on Franklin Avenue to Hempstead Turnpike and then make a right onto Hempstead Turnpike. A&S Bagels will be on your right side. Take the Southern State Parkway Eastbound to Exit 15 (Corona Avenue). Go straight passing Corona Avenue to second traffic light, and then turn left onto Franklin Avenue. Take Franklin Avenue to Hempstead Turnpike, and make a right on Hempstead Turnpike. A&S Bagels, Inc. will be on your right side. Take Exit 26 B (Hempstead Turnpike East). A&S Bagels, Inc. will be approx. 3.5 miles on the right. Be sure to look at our Menu and Catering information page. 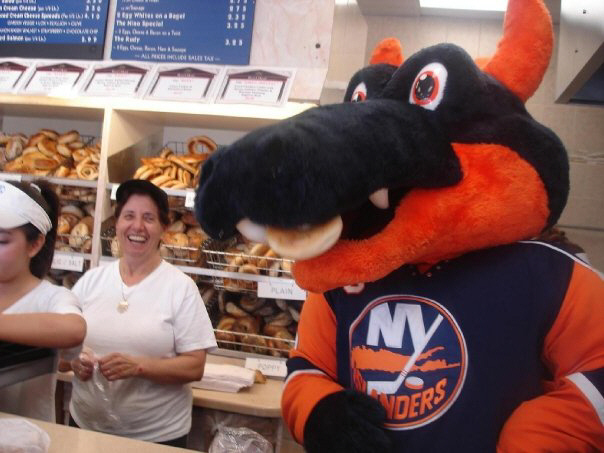 A&S Bagels is located in Long Island, New York. For more information about Long Island, visit the Long Island page. A&S Bagels, Inc. is a wholesale supplier of New York Bagels, Danish, Muffins and more. Legal Notice: By viewing, visiting, using, and/or accessing this web-page and/or web-site, you are bound to certain terms and conditions. You can read said terms and conditions by clicking here. The materials on this web-site are protected by copyright. All rights reserved. ©1985-2013.